Women carry them with them every single day. They even take it in the public restrooms. This is basically the reason why it may carry so many germs. In recent studies, researchers took samples and the results are alarming. 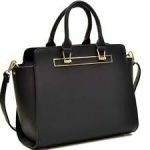 They have found that the average purse is three times dirtier than an office toilet seat and that 1 in 5 handbag handles contain enough germs to pose a significant risk of cross-contamination from the handle to your hand. Think about it? We touch them all the time and even put them down on the floor. You don’t think to wash or clean your handbag but I would definitely start, if you haven’t done so already. Wipe them down with antibacterial wipes or warm soapy water. You use these items to clean your dirty dishes or counter tops. 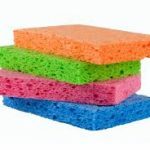 Most sponges and cloths that were tested were positive for illness-causing bacteria, such as Salmonella, E. coli, and Staphylococcus, as well as the influenza virus. You spread bacteria while wiping counters. It is said to be better to spray chemical cleaner and using a paper towel or quick drying rag to wipe down your counter tops. Also, a quick tip is to put your sponge in the microwave to zap those bacteria. People use toothbrushes to clean their dirty teeth. Then when they are done, they leave it to dry on the bathroom sink or counter, probably close to the toilet. As a result they can become contaminated with airborne bacteria released from flushing. Gross enough for you? Always cover your toothbrush with a toothbrush cover and place it under the sink or in a cabinet. Also, close the lid when flushing the toilet which can prevent airborne bacteria in your bathroom. 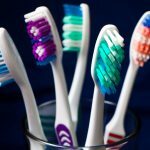 The best tip is to replace your toothbrush every three months or after you’ve been ill. Your entire family uses the remote control for the TV and computer keyboards and are rarely cleaned. Researchers have indicated that a remote control for the TV/DVD can contain thousands of bacteria, including the same varieties found on kitchen sponges. Part of the problem is that people often snack while they sit and watch television, leaving behind oils and crumbs for germs to stick to and use as “nourishment” to help them grow. 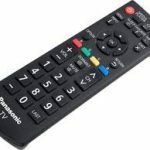 You should definitely clean remote controls, keyboards, computer mouse, game controllers, ipads, smartphones and cordless phones with disinfectant cleaners atleast once a week. Everyone in your household touches them. Whether its bathroom doors, closet doors, bedroom doors, closet doors, cabinets, drawers, etc. Plus, visitors come and go into your home. Who knows who washes their hands as much as they should. Especially if you have small kids, you should wipe down knobs as needed or weekly. Use wipes or use a rag and hot soapy water.